Versace is expanding opening up another flagship boutique in Rome. 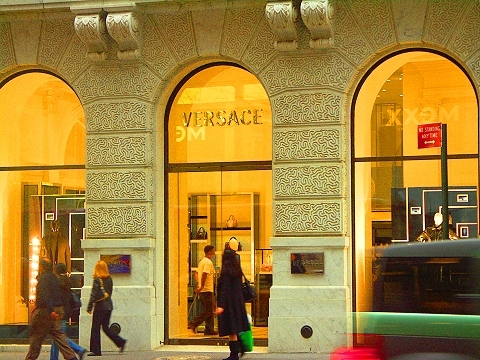 The Versace boutique opened up this month in Via Veneto, a district known for its upscale hotels and designer stores. This will be one of four Verses stores in Rome and has people wondering what new additions will be available the new lavish boutique. Inside the 200-square meter space boasts a contemporary design which has been arranged by the company’s in-house team of architects. Versace’s architects used fine materials like leather, black marble, and crystal to outfit the boutique. Luxurious is the experience inside and if your part of the Elite and is looking for some extra privacy, you’ll be happy to know that Versace will cater to your VIP experience thanks to the store’s VIP room, where customers can make their purchases in complete privacy.